As Chief of Staff for SAP's Global Channels & General Business organization, Emer is responsible for executing the business vision and strategy on behalf of the President & Executive leadership team, including strategic program oversight, board area alignment & employee liaison responsibilities. A product of SAP's University Liaison program, Emer joined SAP 10 years ago and has progressed through roles undertaken within SAP's channel business, more recently as a Director of SME Best Practices. 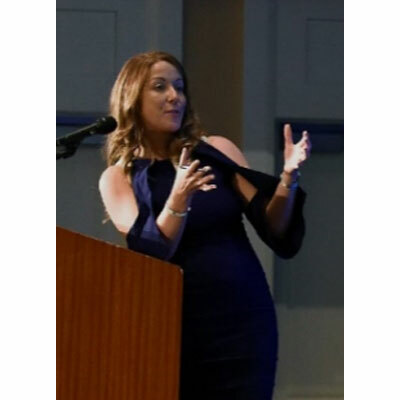 An advocate of "the collective", Emer's purpose is to connect & innovate with people to serve the growing SME market with a great SAP customer experience. SAP's vision as a company is to build meaningful partnerships with customers through innovation, building a successful marriage of sorts and a "customer for life" status. Emer led the General Business "New" Customer Program this year with a cross unit of leadership from GTM, PartnerEdge, Marketing, Digital Sales & Customer Experience. The program & incentive structure seen global double digit growth in new SME businesses year on year choosing SAP's cloud solutions and has developed effective franchises based on best practices to achieve hyper growth with our channel in this segment for SAP. SAP's ecosystem is rich with ERP expertise and industry best practice implementation experience. It's going to be an exciting year for us as we launch S/4 Public cloud in more markets. We will serve the SME market by partnering together to deliver frictionless customer experiences across our entire portfolio. We will continue to evolve our cloud programs & incentives to support our channel. SAP has launched a new employee program called Catalyst which support "stand outs" who are nominated by their organisation as individuals who accelerate action & change within their organisation and the wider SAP. I'm excited to play a part in the first year of the program to drive purposeful change for SAP & our channel. There are many women that I admire and plenty more to meet. As a proud Irish millennial, I was born into a country at a time when our first female president, Mary Robinson was elected by the people. Operating at the highest level, her achievements shone a well needed light on the importance of women in the workplace. She was probably the first woman outside of my family who made a real impact on my perspective. Be curious & confident and commit to what you enjoy and are good at. It's easy to get distracted at this age of wonder. Get some hands-on work experience before committing to a university & career path. Listen to your parents, they turn out to be right. In our industry, it's critical to have a commitment to learning and mastering new technologies, new concepts & imagining business processes for the future enabled by these innovations. Staying relevant & up to date is a requirement of any job in the technology industry. After receiving several recommendations, I read Elon Musk's autobiography (Tesla, Space X and the Quest for an amazing future). It's a great story and I enjoyed his "nothing but perfect will do" attitude to engineering his products. His company vision will leave a big footprint on future innovations.